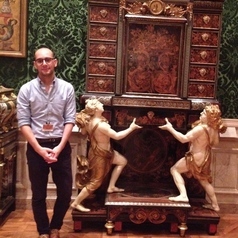 Mark De Vitis joined the Art History Department at the University of Sydney in 2015. He specialises in the study of early modern visual culture, and the cultures of dress and dressing, both past and present. In support of his doctoral research he was the recipient of a residency at the Cité internationale des Arts, Paris through the Power Institute, and has also held a research fellowship at the Getty Research Institute in Los Angeles. He has most recently been awarded the 2016-2017 Charles Montgomery Gray fellowship at the Newberry in Chicago.